Speaking at the official launch of Birmingham’s new homeless shelter, Fr Michael White, Chair of Caritas Archdiocese of Birmingham, addressed over a hundred guests who had come to witness the opening of a very special place. Tabor House is Birmingham’s only permanent night shelter, supporting vulnerable, destitute men and women. It offers its guests a hot meal, breakfast, a shower and safe shelter from the cold, desolate streets. As well as shelter and food, it supports its guests to access services that will enable them to regain control of their lives and take steps towards finding more permanent accommodation. 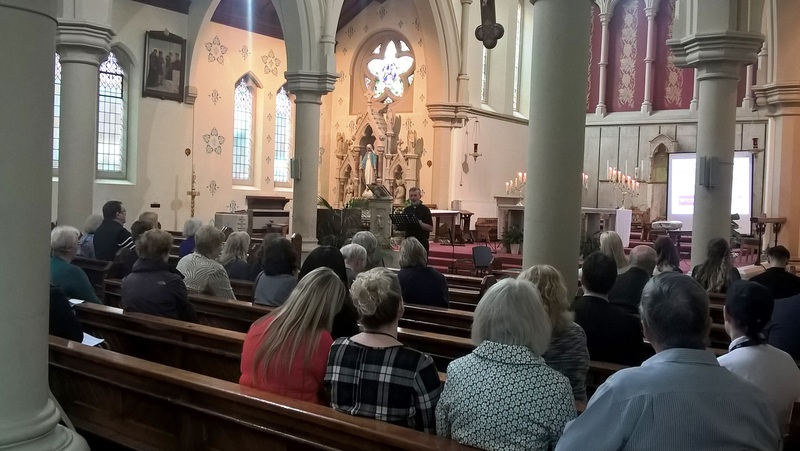 To mark the opening of this new facility, a launch event was held at St Anne’s RC Church in Digbeth to coincide with World Homeless Day. Small groups of invited guests were given tours of the new facility by some of the staff and volunteers. Among them were West Midlands Mayor Andy Street, representatives of West Midlands Police, homelessness specialists, volunteers, members of the clergy, local press and others. Guests will be referred to Tabor House by the charities SIFA Fireside and Midland Heart. At the end of their stay nobody will be sent back to the streets – the staff and partner organisations will ensure they have somewhere to go. Following the tours, Fr Michael thanked everyone who attended and showed their support. He thanked the partner organisations, funders and volunteers who helped bring Tabor House into being, and spoke of the constant call to help people move on, urging people to stay steadfast as there is still much to do. Tabor House is a partnership between Midland Heart, Father Hudson’s Care, Housing Justice, Birmingham Irish Association, St Vincent de Paul Society, the Catholic Archdiocese of Birmingham, corporate philanthropists, and other local homelessness specialists. Together we have formed iShelter—a new homelessness organisation that aims to help homeless people turn their lives around. To find out more, please visit the Tabor House page on this website.